Students use solar monitoring system to track emissions and energy usage. Education and sustainability should go hand in hand, and that’s certainly the case for Exeter School, an independent school for 7-18 year olds. 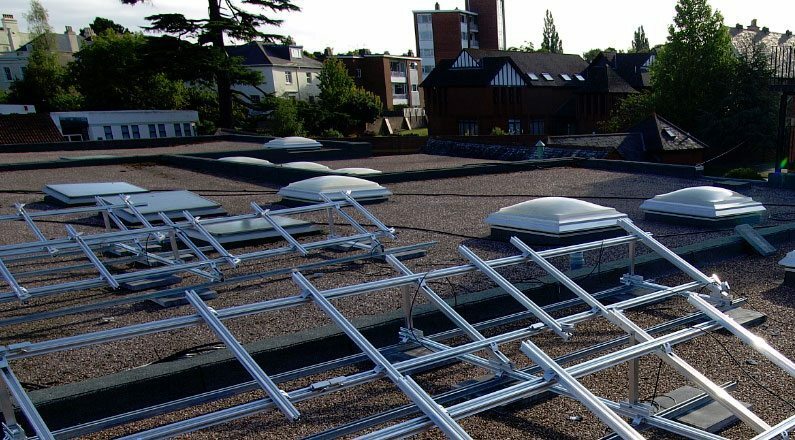 Following the introduction of a range of other environmentally friendly measures, the school was looking for a bespoke sustainable energy solution to contribute towards its electricity needs, while reducing its carbon emissions. 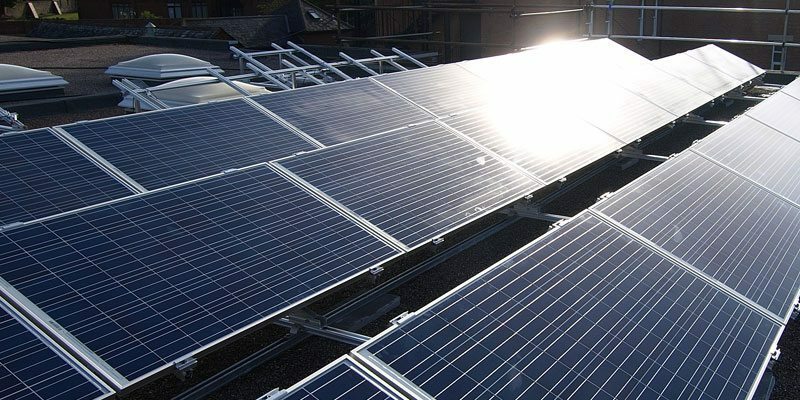 Exeter School invited SunGift Energ yto survey their site, which resulted in a personally designed solar PV array that more-than-fulfilled the school’s requirements. 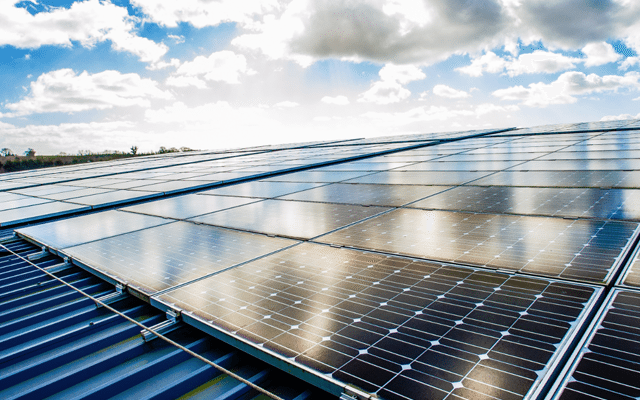 After carrying out the detailed survey, SunGift designed a bespoke 42-panel flat-roof-mounted solar PV array to sit on the roof of the junior maths building. The 9.87 kWp system that SunGift installed was designed to not only minimise the aesthetic impact, bust also maximise the school’s energy yield. In addition, the monitoring system is fully accessible via the internet, so staff and students are able to monitor the electricity that is generated, enabling them to keep track of the renewable energy produced. This provides an excellent, detailed educational resource. 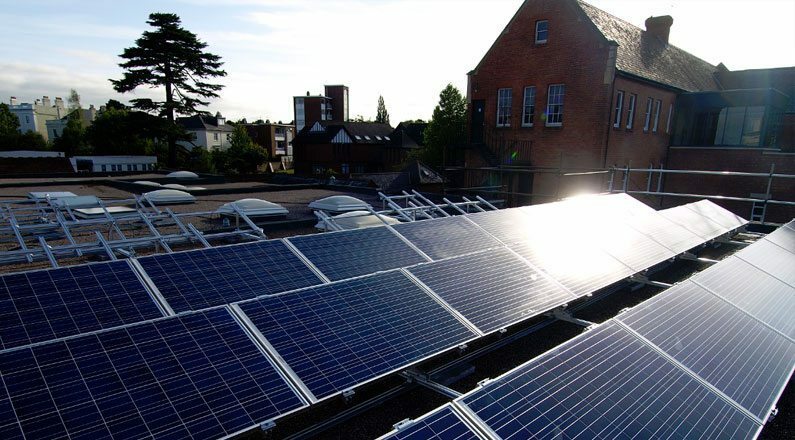 Exeter School’s solar panels generate more than 9,000 kilowatt hours of clean green electricity, avoiding the emission of more than eight tonnes of CO2 per year.